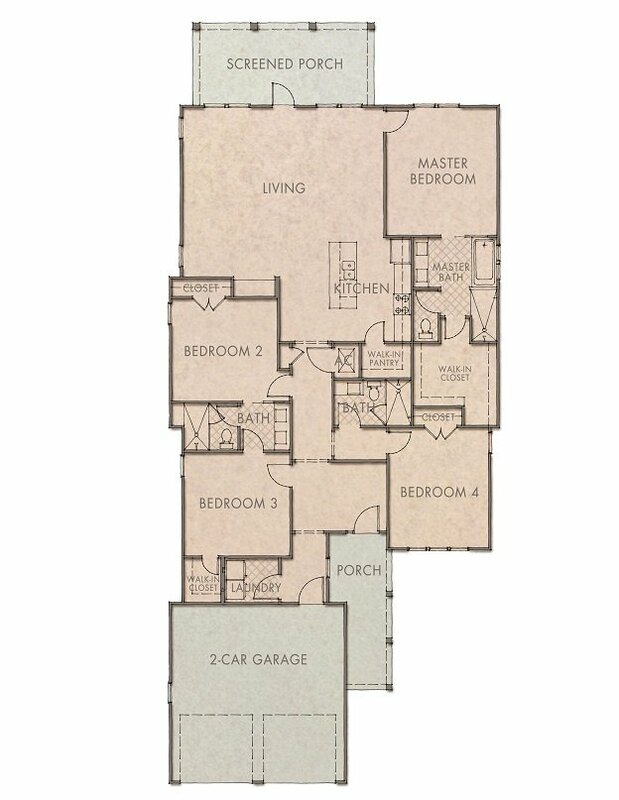 The charming Dogwood plan features an inviting one – story layout adorned with the stunning finishes Huff Homes is known for. At the heart of the home, the kitchen and living area provide an open space for entertaining and quality time with family. The spacious screened porch off the living room offers an additional living area to enjoy the mild Florida weather. A convenient laundry and mu room provides the perfect spot to drop your shoes near the two-car garage entrance. Three full bathrooms and four generously sized bedrooms offer ample space for family and guests.